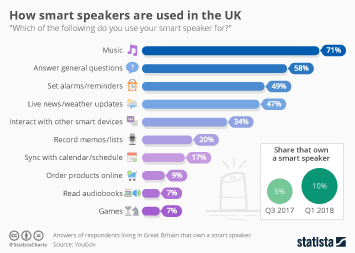 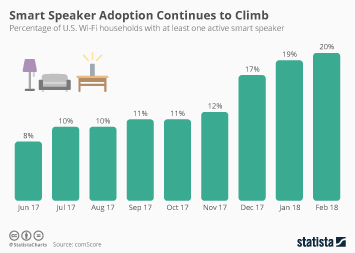 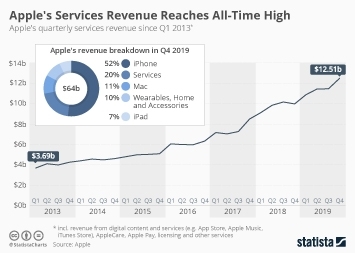 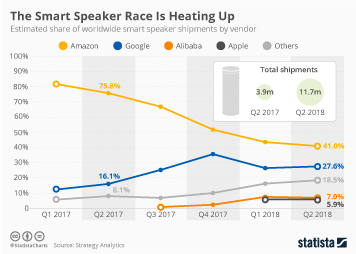 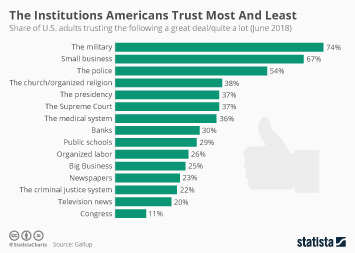 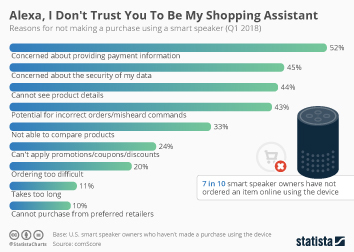 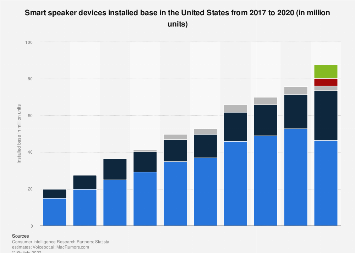 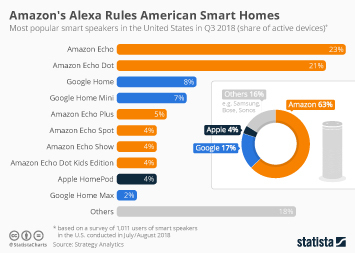 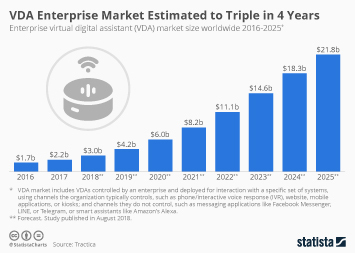 Amazon’s Echo devices featuring the company’s smart voice assistant Alexa have proven very popular since their (limited) release in November 2014. 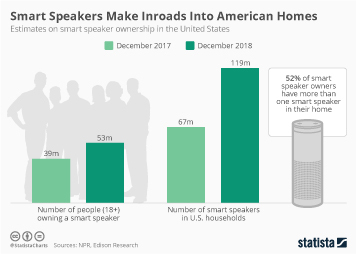 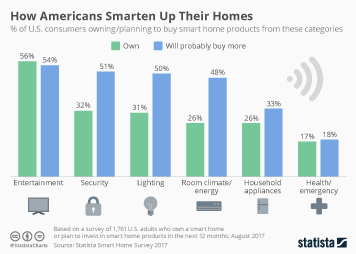 Consumers appear to like the idea of having a voice assistant in their homes, be it to control smart home devices, manage shopping lists or crack a joke every once in a while. 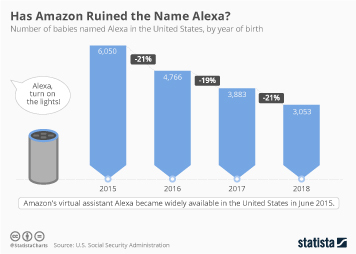 And while Alexa’s capabilities are still limited, “she” appears to be a fast learner. 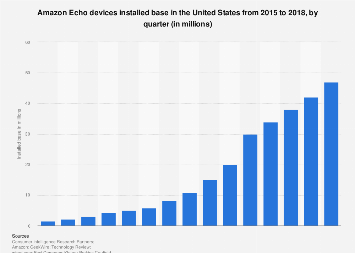 Last week, Amazon announced that developers have built more than 15,000 skills to date, more than tripling Alexa’s capabilities since November 2016. 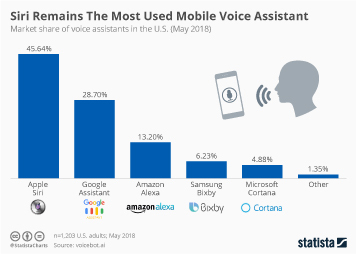 This chart shows how many third-party skills are available for Amazon's smart assistant Alexa.